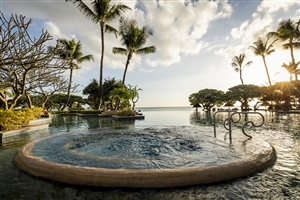 Be dazzled by the beauty of your tropical surroundings with an unforgettable Mauritius holiday spent at La Pirogue. 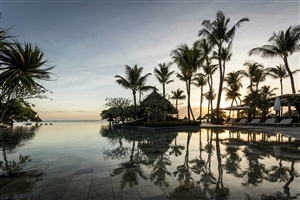 Tucked into acres of lush foliage and fringed by the spectacular blue ripples of the Indian Ocean, La Pirogue is both an excellent choice for couples seeking a romantic escape and parents looking to treat the entire family to a holiday they will never forget. 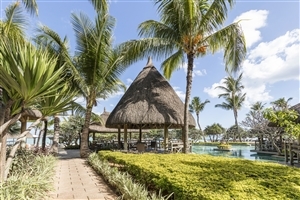 Generous facilities at La Pirogue include a vast infinity swimming pool, sporting activities and a kids’ club, while accommodation comprises of smartly appointed guestrooms and suites across charming thatched cottages. 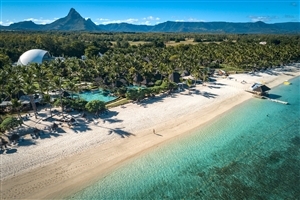 The stunning La Pirogue Hotel is located on the west coast of Mauritius, and lies on a mile long white coral sand beach fringing a shallow lagoon. With its distinctively romantic and private atmosphere, it offers guests a range of amenities in 35 acres of landscaped gardens. 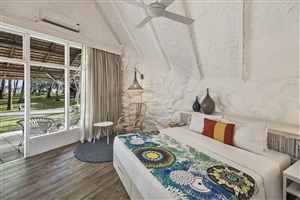 The authentic design of the hotel was modelled on a fishing village and all the rooms and suites are housed in beautiful thatched cottages that lead directly onto the beach through the fragrant tropical gardens. During the day choose from a wide range of complimentary water and land sports or for the more adventurous quad biking, karting and parasailing are on offer. 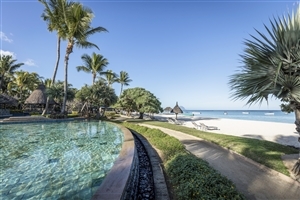 There is also a magnificent 1000 square metre pool that merges into the Indian Ocean and is overlooked by the bar and pool deck. 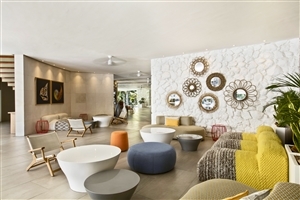 The sister resort, Sugar Beach, is just a short walk away where guests can use the fitness centre and main restaurant. The wonderful supervised kid's club offers treasure hunts, environmental adventures, a computer corner and pen-pal clubs. La Pirogue has a vibrant, lively atmosphere, with exceptional cuisine both a la carte and buffet style including live cooking stations. After dinner the Blue Bar is the place to be seen featuring a disco and live entertainment. 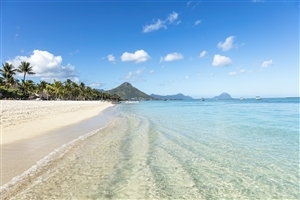 Famous for its friendly staff and excellent service, guests return year after year to this delightful resort. 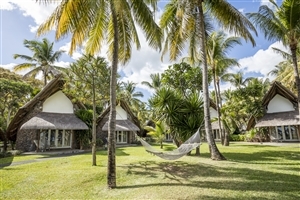 The Garden Bungalow at La Pirogue offers 25sqm of accommodation space that provides a cosy setting with a thatched roof and comfortable furnishings. The room features a private patio. The Premium Garden Bungalow at La Pirogue offers 25sqm of accommodation space nestled in a secluded setting amongst the tropical gardens. The room features a private terrace. 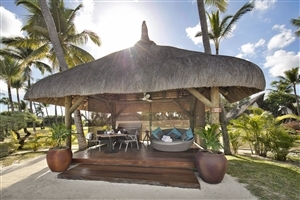 The Beach Pavilion at La Pirogue offers 35sqm of accommodation space located a short distance from the beachfront. 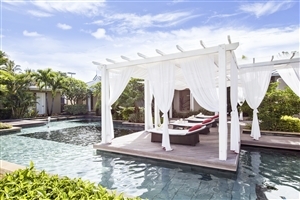 The room features a private terrace and boasts views of the lagoon and sea. The Garden Family Bungalow at La Pirogue offers 50sqm of accommodation space designed with more space to entice travelling families. The room can be sold individually or as a unit with 2 connecting rooms. 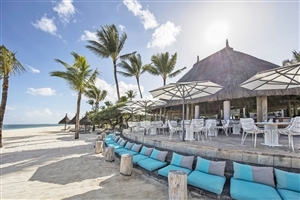 The Deluxe Beach Family Pavilion at La Pirogue offers 70sqm of accommodation space designed with more space to entice travelling families. The room can be sold individually or as a unit with 2 connecting rooms. 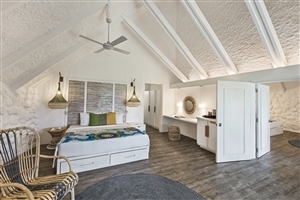 The Senior Suite Pavilion at La Pirogue offers 78sqm of accommodation space that provides additional personal service and is designed with tropical luxuries. Wolmar Restaurant - Enjoy a veriety of themed buffet delights at this breakfast and dinner venue. 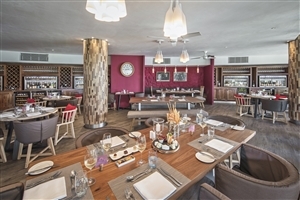 Van Der Stel Wine Bar - Choose from a menu of 60 wines and light meals at this elegant bar. 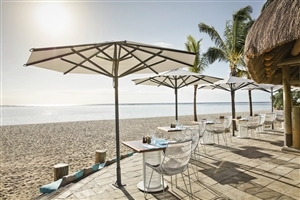 Magenta Seafood Restaurant - Romantic dinner setting where a la carte dishes are served beach-side. The Medine Bar - Sample a signature cocktail or drink at this warm and welcoming bar.